Lucy Harding has called on procurement leaders to help inspire Millennials by inviting them to thought leadership events. 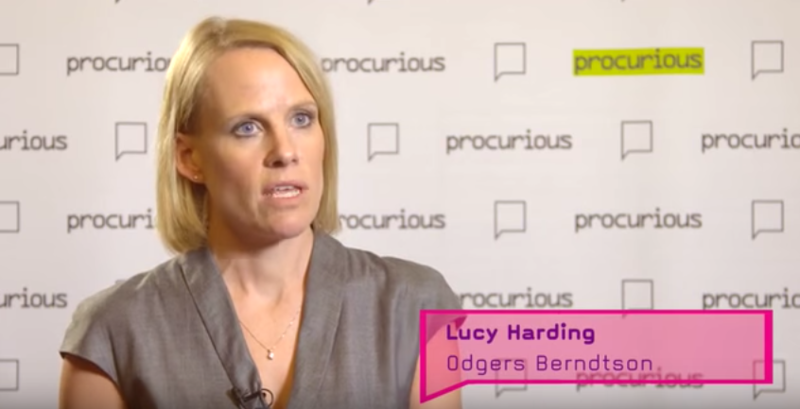 Lucy Harding, Partner and Global Head of Practice, Procurement and Supply Chain at Odgers Berndtson, challenged CPOs to open up access to events, such as the Big Ideas Summit, to the Millennials in their organisations. Lucy argues that such events can inspire Millennials. By accessing thought leadership and innovative events, it can encourage them to sell key message to their generation in their organisations.